Description: So pretty, so perfect, so delicately pink. 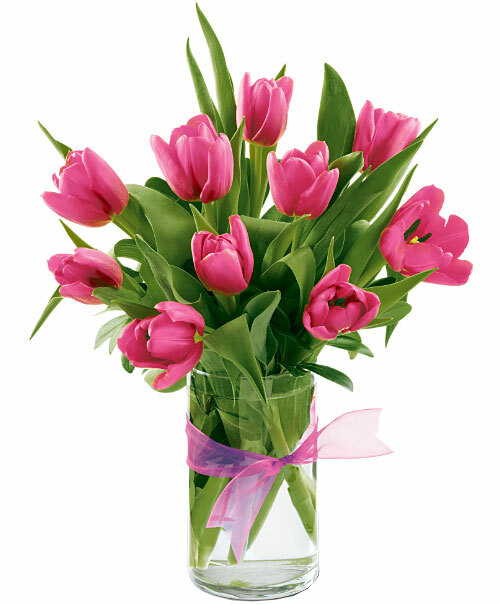 These ten artistically arranged pink tulips are just about the sweetest gift ever for that special person in your life. Please note that tulips are seasonal flowers.